Precious Wanda and her sister were barricaded in the kitchen of their home and abandoned. A neighbor responded to the putrid smell emitted from the house and a sighting of Wanda trying to get out of the kitchen window. He broke into the house and discovered Wanda, starved, dehydrated, and forced to consume her dead sibling to survive. 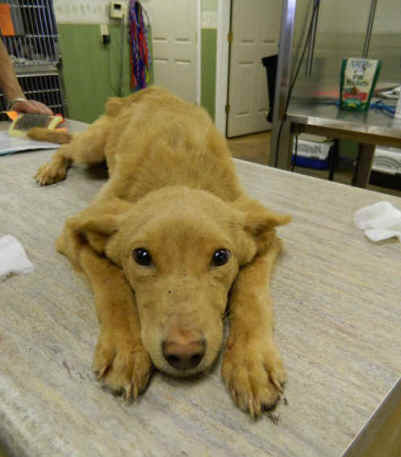 The Grenada, Mississippi animal control officer (ACO) took Wanda to be euthanized. 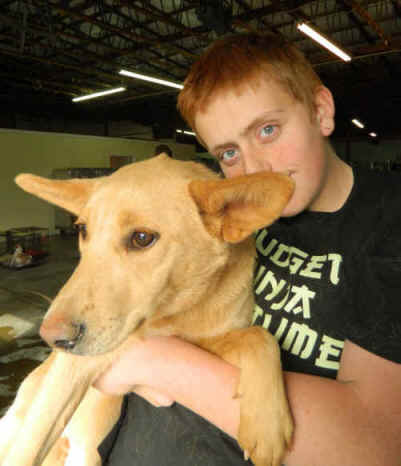 The vet called In Defense of Animals’ Hope Animal Sanctuary (IDA-HAS) to see if we could help. IDA-HAS Director Doll Stanley took guardianship of Wanda and accompanied ACO Trey Waters to the scene of the investigation. After documenting evidence of cruelty, IDA pushed for prosecution. This Tuesday, just days after Wanda’s full recovery and adoption, her abuser was convicted of animal cruelty. Nakiyeh L. Townsend was found guilty by her own testimony. Municipal Court Judge Jimmy Vance convicted Townsend of depriving Wanda of food and water and the death of her sister. Judge Vance chastised Townsend for the woeful neglect of her animals, asked her how she’d feel if he had her jailed and the jailer forgot to feed her, and told her he would have given her a 30 day jail sentence if she had counsel. He fined her $1,109 and advised her not to keep any more animals. This was a huge verdict for this jurisdiction in which the ACO had little confidence of a conviction and hadn’t been trained to investigate, document, or file a cruelty case.